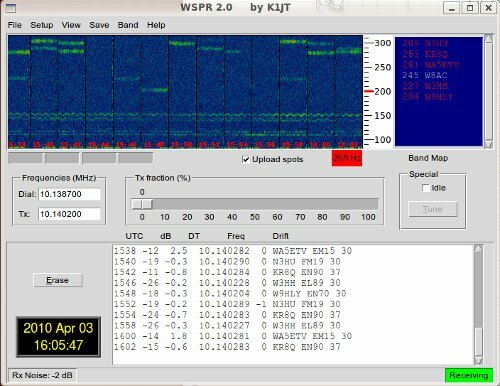 Since I am not using the radios in my shack this morning I decided to turn on the K2 and let the Ubuntu machine that runs the shack decode WSPR signals on 30m. I planning to spend a little bit of time over at the work bench this morning so I thought I could help out other folks by letting my system do some decoding and posting while I solder in the other room. I don't think that I have ever seen the sub band this active. I probably should design a dedicated receiver that can just listen and send the audio to a machine (or VM) to do decoding. When I am working during the week my radios sit inactive most of the time. 73 de NG0R... headed over to the work bench.